It has been long time a Surya movie is released. The previous movie was “Anjaan” which is released on August 2014. Since then we are waiting for a new movie and we know the movie #Masss is on it’s final stages of shooting. The film #Masss will be released on the summer, which is said to be an horror-comedy thriller, a new genre for Surya yet. 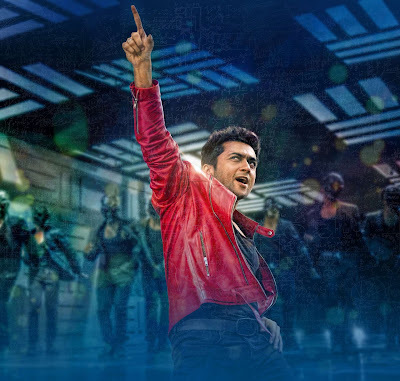 We also updated that the next after #Masss will be #24 which will be an Science-fiction thriller, directed by Vikram Kumar. Now it’s officially confirmed that #24 will be on the floors from April . The next after this will be a mass film, can you guess which it will be? Yes, it’s too confirmed that the next after #24 will be directed by Hari, who has given couple of blockbusters and hits for Surya. The project is confirmed but not yet know whether it is Singam 3 or not. The film shooting will start from September onwards. The screenshot of the official confirmation is given above, check it out. Stay tuned for updates! Your comments/feedbacks are valuable for us to improve and to give more official information to you. So please feel free to comment and support Surya!